Our mission is to offer our guests the best, most far-reaching authentic nature experiences whatever the time of year. All our activities and experiences are based on the same idea – that you get to enjoy the things which we love to do in our free time. With the help of a helicopter, we’ll whisk you off to remote, rarely visited sites across the mountain landscape. Travelling light, we’ll hike deep into nature, far from the highroads and waymarked routes. We’ll explore remote mountains and valleys, and you’ll get to see places visited by few other people. After a day filled with fresh mountain air and unforgettable experiences, we’ll fly back to Niehku Mountain Villa where a sauna and maybe even a much needed massage await. The adventure then continues around the dinner table, rounded off perfectly in front of a roaring fire in the company of good friends. The length of hiking routes can be tailored to individual groups. 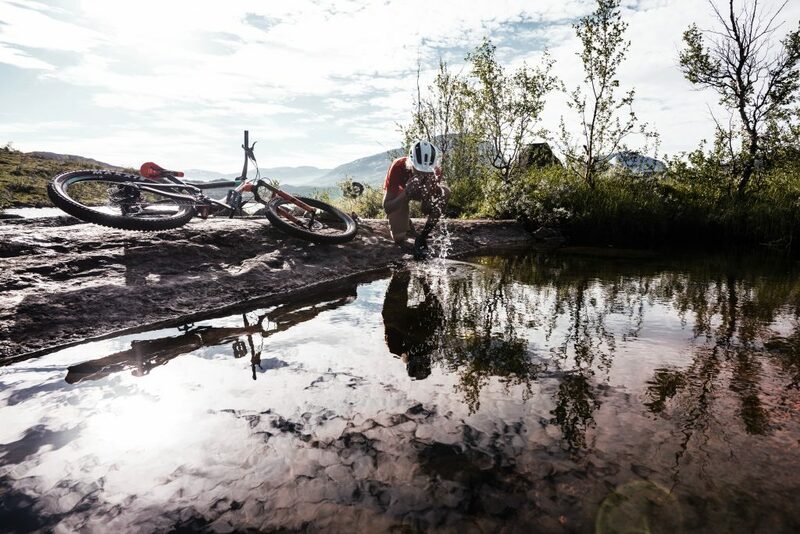 The area around Riksgränsen is home to a vast number of tracks and trails which are perfect for mountainbikers from beginner level to more technically advanced biker. Travelling by helicopter, we can also take you deep into the mountains, where we’ll cycle far from the busy tracks. 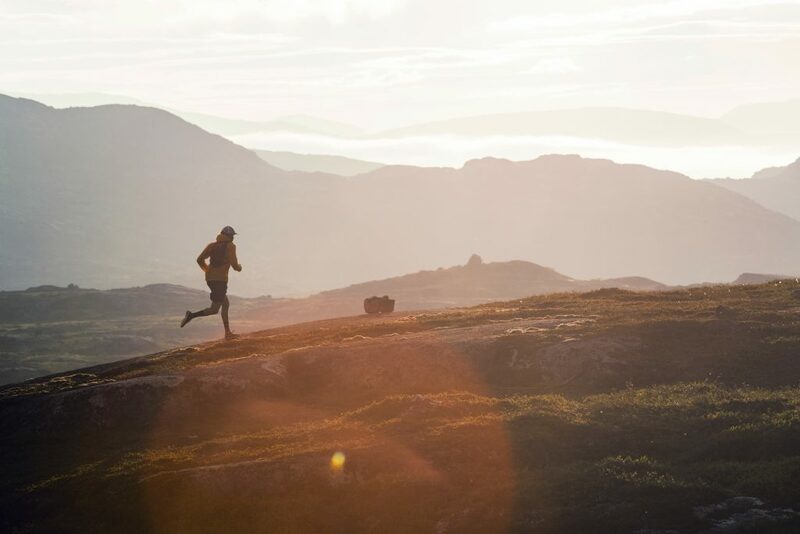 Don’t miss the chance to cycle along the old Rallarvägen route, which starts right outside Niehku Mountain Villa and finishes on the shores of Rombaksbotten on the Norwegian west coast. This is an unforgettable trip along the legendary route, which was taken by navvies during the major railway construction at the end of the 1800s. You’ll cycle across the dramatic mountain landscape all the way to the Norwegian Atlantic coastline, with its wonderful fjords. On reaching Rombaksbotten you’ll be rewarded for your efforts with fresh prawns and a glass of white wine by the water’s edge. We’ll then embark on a spectacular boat trip to Narvik, where a car will collect us and take us back to Niehku. This is a trip for everyone, highly recommended. And you can avoid the more technically challenging passages simply by passing them on foot. An integral part of life in the mountains, hunting and fishing are a great way of experiencing the stunning seasons and landscape in the region. Niehku Mountain’s vast surroundings are home to fantastic hunting ground and fishing waters at unspoilt, remote mountain locations which we can reach by helicopter. There are plenty of lakes and watercourses accessible to anglers, and our knowledgeable guides will help you to land the elusive char. And thanks to our close proximity to the Atlantic fjords along the Norwegian coast, you can also fish for cod and other whitefish by boat in Arctic waters. Hunting for grouse with pointing breed dogs in unspoilt mountain terrain is considered by many seasoned hunters to be the ultimate experience. There’s nothing quite like the excitement of seeing the dogs on the hunt across the stunning slopes and landscapes. Our guides have extensive experience of this type of hunting, and only hunt-test approved dogs are used.